After a great sleep last night here in our Country Coach, Lola made herself known about a little after 5 am. Roger and I wander silently ,get our shoes, throw on something suitable in case we run into someone out there. Then out we go. Everyone has his or her spot, then I give them breakfast. Roger goes back to the bed and I grab my pillow and crawl onto the fold out couch. Lola likes that I do that as she lays down right beside me. 7:30 AM we start our day. Today we both drove down to the house to empty out one room. Roger wanted to do the guest/art room but I voted for our bedroom. Clothes to Goodwill in a few bags then the dump bag. Sorry, bags!!! So much stuff. Roger found it to be emotionally draining but since I emptied my studio and got rid of so much stuff, I am ok. Now it's just heave ho. 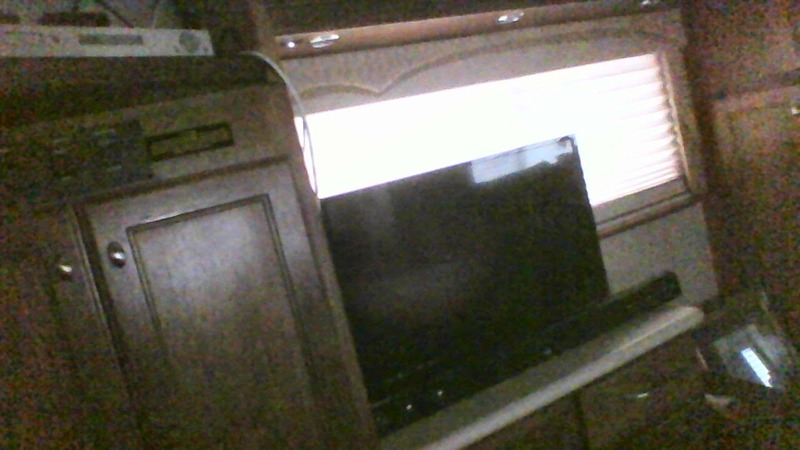 This afternoon we came back and worked here at the RV. After we , (Roger) finished doing that it was take the kids to the park time! When we lived at the hopsue we would get in the pool and play keep away with the dogs. Roger and I would throw the ball back and forth and they would swim. Well we continue the game now on land. Lola let's us know she's hot. She just stops playing and goes over to the fence. Sammy and Ozzie just keep on going. Sammy is 9 so getting up there even though he's active. Plus it was really hot. When we got back to CiCi Blue he was beat. 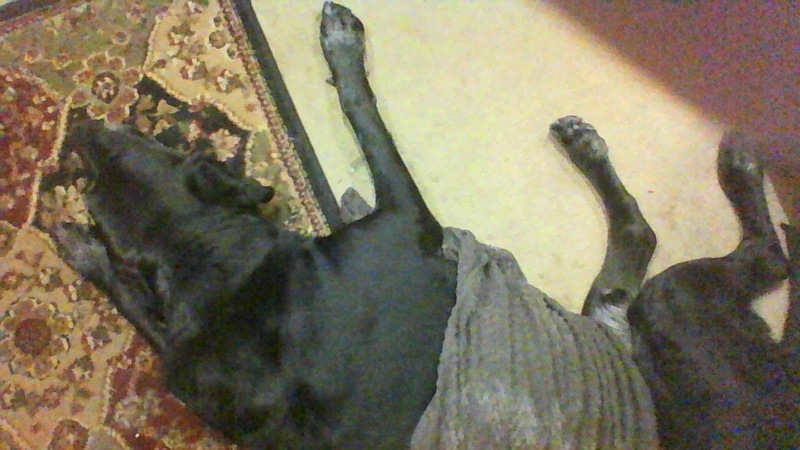 I soaked a towel and laid it over him. Going to do a search for the cool jackets for dogs in hot weather. He's doing fine now and beside me looking for his dinner. I guess I can let the guilt go. 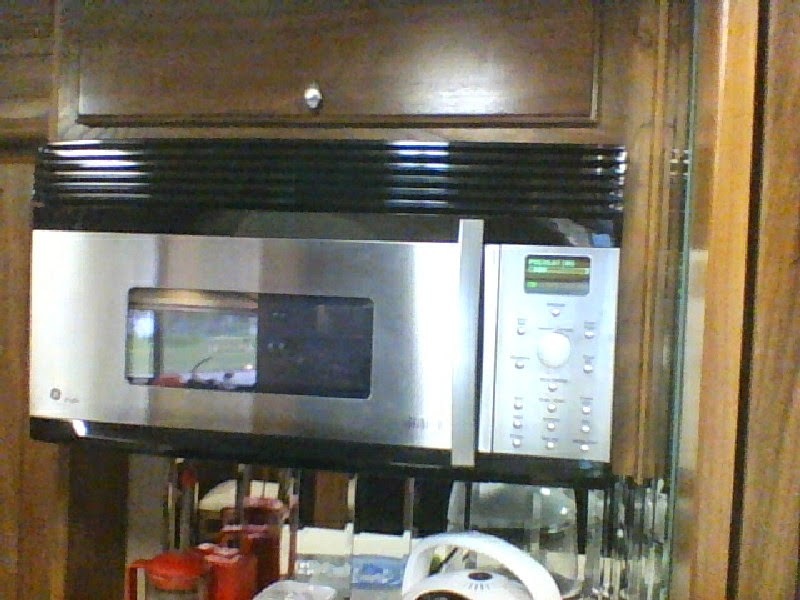 For dinner we are using our Advantium microwave/cooker. Chicken!! First time for a meal. I did bagels in it this morning but tonight will be the real test. Will let you know!! So have a great Saturday night.